Ipswich Town manager Paul Lambert insists the future is bright for the Suffolk side even though they will be playing in League One next season. Ipswich will start the 2019/20 season in the third tier of English football for the first time since 1957 after their relegation was confirmed on Saturday when they could only draw 1-1 with Birmingham City at Portman Road. Former Norwich City, Aston Villa and Stoke City boss Lambert was appointed Town manager almost six months ago but was unable to lift the club away from trouble. 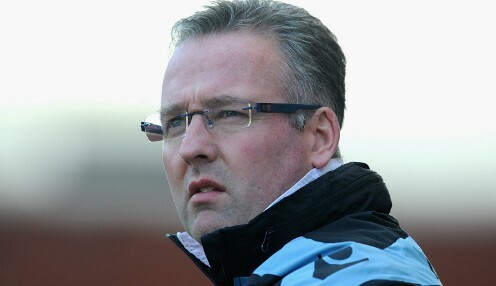 Lambert admitted: "It's gut-wrenching, it's horrible. You can't put it into words what it feels like. It might not feel like it at this moment in time, but it will be an incredible learning curve. The players will come back stronger for it, they really will. "My view is that this club could be brilliant again. It might take a little bit of time but it could be so good here. "We'll analyse what went wrong. I can't comment on what happened previously. I can only comment on what I've seen from October onwards. But there is so much to look forward to here. I think it's exciting. "Whether transfers come in or not, I don't know what's going to happen. I think the club needs a couple of bodies in to try and help and freshen it up." Bolton seem certain to be joining Ipswich in League One next season while Rotherham United are 1/16 to go down, Wigan Athletic 40/1 and Millwall 16/1.